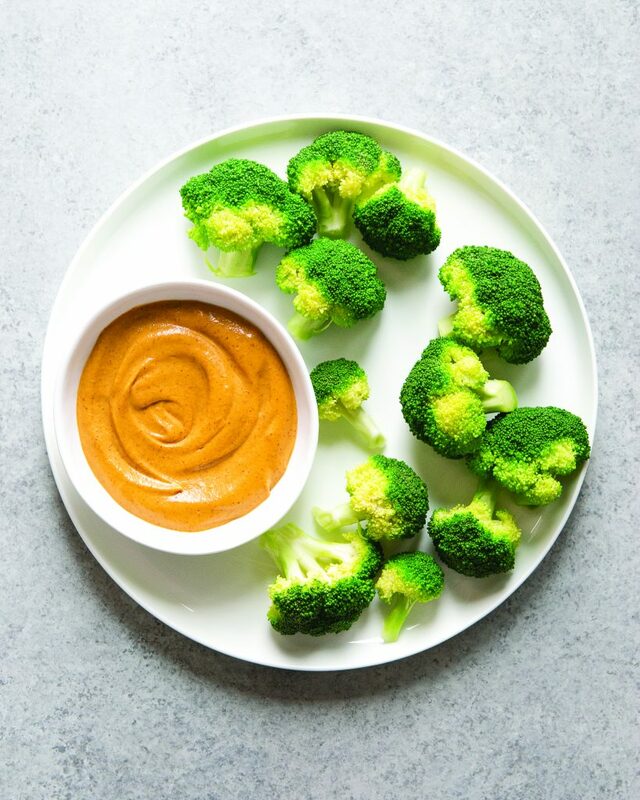 Rich Thai Dip with Broccoli Trees, made with nut free sunflower seed butter. 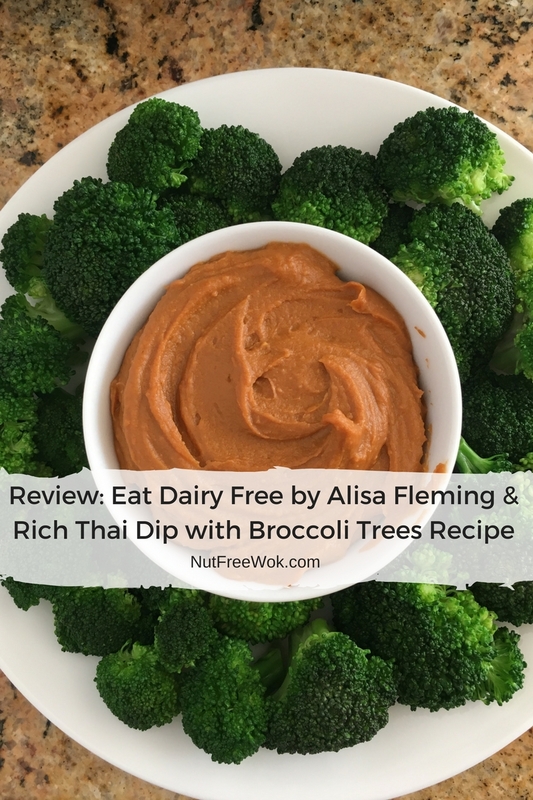 I am so excited to share Alisa Fleming’s Rich Thai Dip with Broccoli Trees from her new cookbook, Eat Dairy Free. Read my review and check out the giveaway below. Disclosure: I received a free copy of Eat Dairy Free to review, all opinions are mine. This post contains affiliate links. This post is for informational purposes only, please consult with your medical care team if you have any questions or concerns. I first stumbled upon Alisa’s website, Go Dairy Free, when my son was first diagnosed over 11 years ago and I learned how to keep my child safe and to find additional resources. It’s amazing how a few years later, we met and she became one of my favorite food allergy blogger friends. She has incredible talent, works hard, but finds time to be helpful and kind. 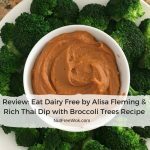 When she asked me if I would like a copy of her new dairy free cookbook Eat Dairy Free (affiliate) to review, to share a recipe (I picked her Rich Thai Dip with Broccoli Trees) and to host a giveaway, of course I said YES!! 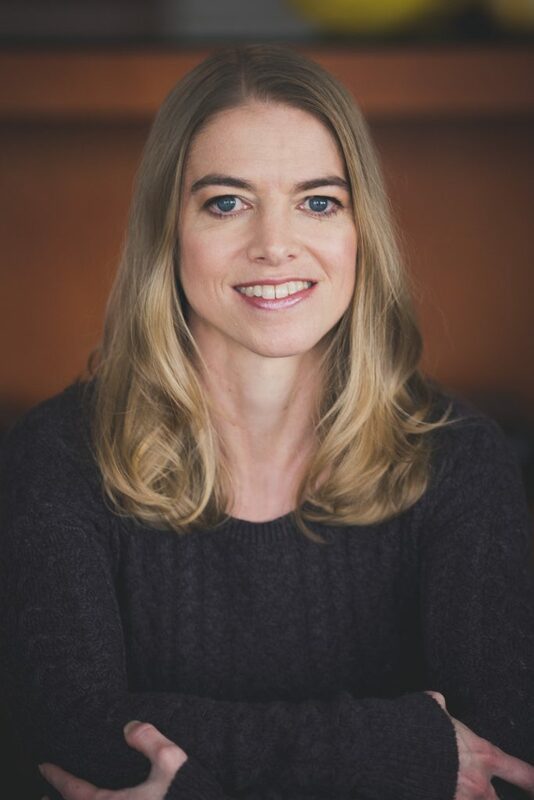 Meet Alisa Fleming, author of Eat Dairy Free and blogger at Go Dairy Free. 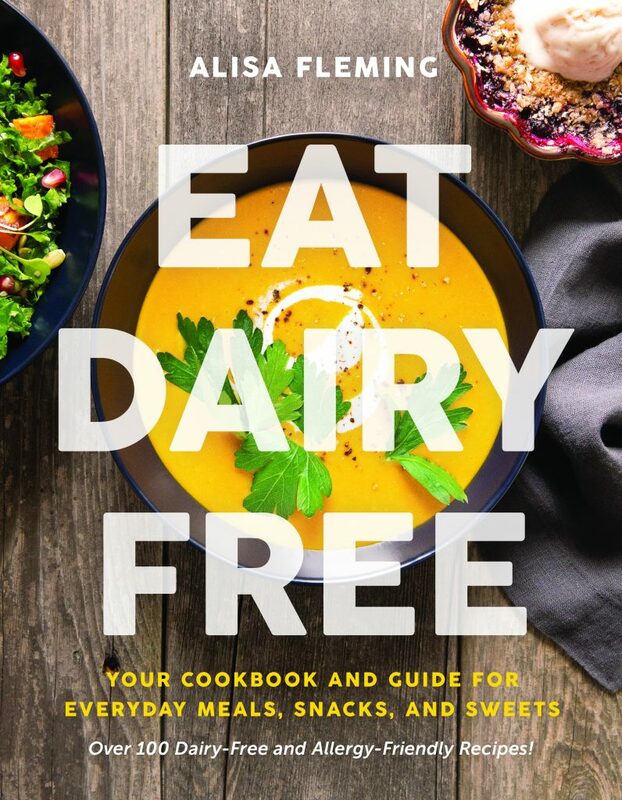 You will LOVE her new Eat Dairy Free: Your Cookbook and Guide for Everyday Meals, Snacks, and Sweets with over 100 Dairy Free and Allergy-Friendly Recipes! If your family is dairy free, this is the perfect book for you. The recipes in Eat Dairy Free are ingeniuous, she uses regular foods as dairy-free alternatives and recreate the flavor and texture of milk, cheese, or yogurt. How does one make dairy free Vegan Quiche and Cheesy Twice Baked Potatoes? The recipes are in the cookbook! There are recipes for dairy free beverages and smoothies, breakfast and brunch recipes, snacks, vegetables, American comfort food, Mediterranean and Asian inspired recipes, desserts, and more. The recipes are satisfying, nutritious, budget-friendly, and tested and approved by both kids and adults. The book is filled with beautiful photos of food that I want to make and eat. Each chapter has a speciality diet reference chart so you can quickly narrow down the recipes that are just right for you. Many of the recipes are fully tested with gluten-free and egg-free options and there are many nut-free, soy-free dishes. Many of the recipes include notes regarding cooking tips, altitude adjustments, various flavor options, and/or nutritional information about key ingredients. Alisa also takes great care to photograph and give specific information about ingredients, such as the different kinds of coconut milk (how it looks like, how it’s used, etc.). Readers also have the option to download weekly lifestyle menu plans for busy weekdays, make-ahead meals, and entertaining, with a printable shopping list. Alisa makes living a dairy free life easy. If you are a fan of Alisa, you can enter the giveaway below or order her book now (affiliate). Also be on the lookout for an updated 2nd edition version of her book Go Dairy Free, to be released later this year. Cover of Eat Dairy Free features some of the delicious dairy free and allergy friendly recipes in the book. I used broccoli florets to save time. I used roasted sweet potatoes, I baked a whole bag of them for another meal and had a few leftover. I used sunflower seed butter, a nut free alternative. I used 2 tablespoons of soy sauce as written. I probably would have preferred a tiny bit less (readers who like the way I season my recipes take note, otherwise it’s just right for others who like more salt). I didn’t have any red chili flakes so I used a squirt of sriracha sauce which is just right for my family. 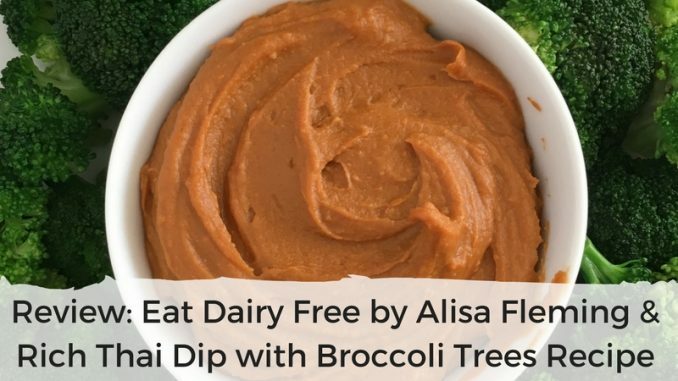 Thai Almond Butter Dip with Brocolli Trees can be easily adapted with nut-free butters, photo courtesy of Alisa Fleming. 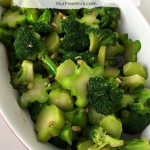 While I truly enjoy this savory, sweet, and spicy thick dip with steamed broccoli, it also goes nicely with bell pepper strips, baby carrots, snap peas, or blanched cauliflower. 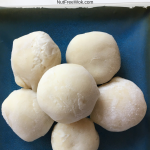 I will always appreciate how Alisa’s website helped me as a newbie food allergy mom get a grip on how to live life with food allergies. It’s only fitting that to share your helpful insights, tips, and positive encouragement to help each other. Your best food allergy tips will be your entry to this giveaway of Alisa’s new book, Eat Dairy Free, see entry rules below. If you can’t wait, order the book today via Amazon. This giveaway begins today and ends on March 20th, midnight. Winner will be notified on or about March 21st by email and will have 24 hours to respond with a shipping address. CONGRATULATIONS KATIE D, she is the winner for the cookbook giveaway! 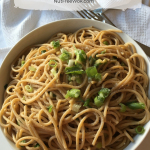 The best way to see every post or recipe is to subscribe to Nut Free Wok’s email subscription. I won’t send you spam or share your email address with anyone. I may mention the names of stores and/or brand names of products that I use because readers ask and I share products and sources which I use and think may be helpful to readers, all opinions are my own. Please note that manufacturing practices and ingredients can change at anytime without notice and readers are always responsible for assuring allergen safety before buying or consuming foods. NutFreeWok.com is a participant in the Amazon Services LLC Associates Program, an affiliate advertising program designed to provide a means for sites to earn advertising fees by advertising and linking to Amazon.com. Alissa is such an inspiring member of the allergy community and i love her recipes!! Agree 100%, Alisa is wonderful! Always read product labels in the store, at home and again prior to serving. Check it 3x! And I find it helpful to have another person read the labels too. Great review Sharon and wonderful choice of recipes to share!! This looks so good and I would love to check out more that she has to offer! There are so many good recipes and a lot of them are simply brilliant. I love this book! I really appreciate how she had budget and easy to access ingredients in mind while writing this book, both of which make managing special diets challenging. I agree, I think that finding Alisa early on in my food allergy journey had an influence on me to prefer to use budget friendly easy to find ingredients rather than substitutes. I just ordered this book! So excited to read it! Thank you, Cathy! That’s really useful information on how to substitute vinegar so that people with gluten intolerances can enjoy. A vinegar company once told me that they are GF b/c the fermentation process removes the gluten…um, probably not! You’re welcome Alisa, congratulations on your new book. You are an amazing lady, thanks so much for all you have done and continue to do all these years. Don’t let food allergies exclude you from an event! Remember that there are friends and family to enjoy and memories to be made! We either bring our own food or eat before/after. Being together with friends and family almost always outweighs not being able to eat the food. This is the first time I’ve heard of pumpkin seed butter! We can’t use almond butter, or any other nut butters, and I’m the only one who likes sunbutter in this house! I’m on a mission to find pumpkin seed butter now! Yum! Food Allergy Tip: Always carry your medication,if the doctor has prescribed emergency medication for you.